You know that smoking is bad for you, and we know how hard it can be to quit. Crave nicotine less and stop smoking in a natural, gentle way - while you sleep! 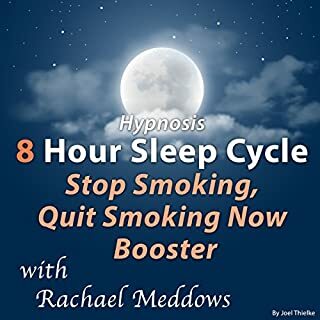 Stop those nicotine cravings and make it easier to quit smoking for good with this amazing, soothing experience, narrated by best-selling hypnotherapist, Rachael Meddows.